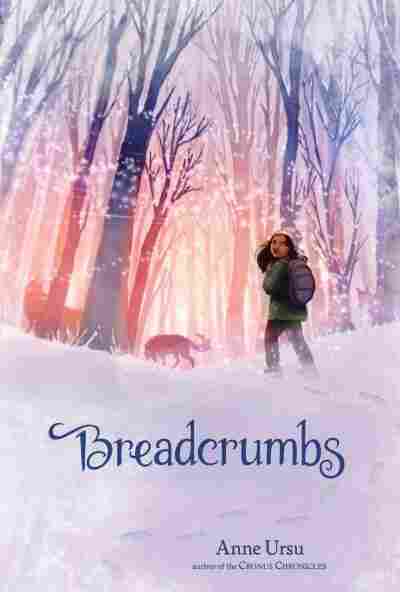 'Breadcrumbs': Young Readers Follow A Wintry Tale Anne Ursu's novel is a modern-day fairy tale set in the snowy woods near Minneapolis. 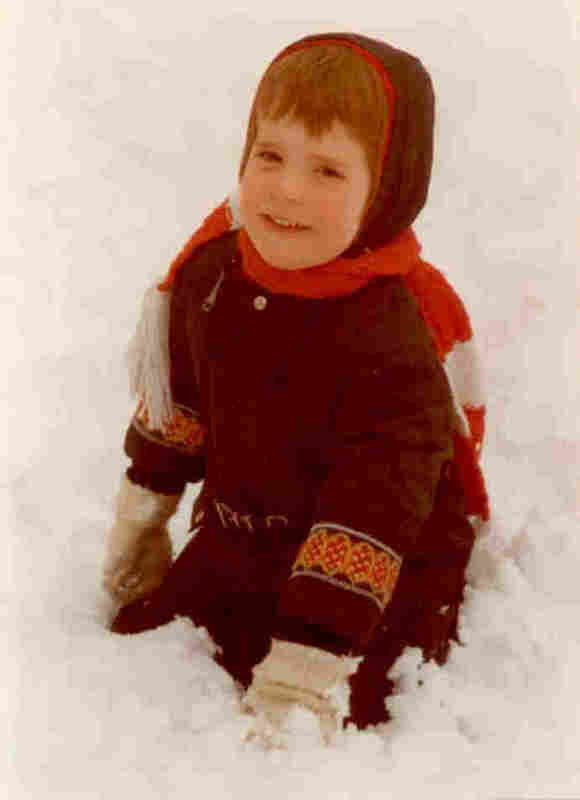 In the latest installment of NPR's Backseat Book Club, Ursu explains that Breadcrumbs was inspired by her own childhood memories of white winters in Minnesota. Welcome to the third installment of NPR's Backseat Book Club, where we select a book for young readers — and invite them to share their thoughts and questions with us and the author. Our selection for December is a perfect holiday story: the enchanting modern-day fairy tale Breadcrumbs, by Anne Ursu, author of the popular Cronus Chronicles trilogy. Ursu tells NPR's Michele Norris that Breadcrumbs was inspired in large part by her own "snow coated" memories of growing up in Minnesota: "When you're a kid and you look out the window and it's snowing and that seems so magical and the world just becomes something else, something other. Everything is quiet, and it feels like it's almost your kingdom to go out and conquer." Navigating the wintery world of Breadcrumbs are best friends Hazel and Jack, fifth-graders in a working-class Minneapolis neighborhood. Adopted as a baby from India, Hazel feels like an outsider, especially after her parents split up and she's forced to attend a new school. Meanwhile, Jack is facing his own family challenges, and the two friends begin to drift apart. Their all-too-familiar problems are given a supernatural twist when Jack disappears, supposedly lured into the forest by a woman in white. It's up to Hazel to brave the wintry woods and find her friend. The appearance of this sinister stranger prompted a question from one of our sharp-eyed book club members, sixth-grader Isabelle Verdury, who wondered if the white witch from Breadcrumbs had anything to do with the White Witch from Narnia. The similarities are obvious: Both ride white sleighs and lure children with Turkish Delight. 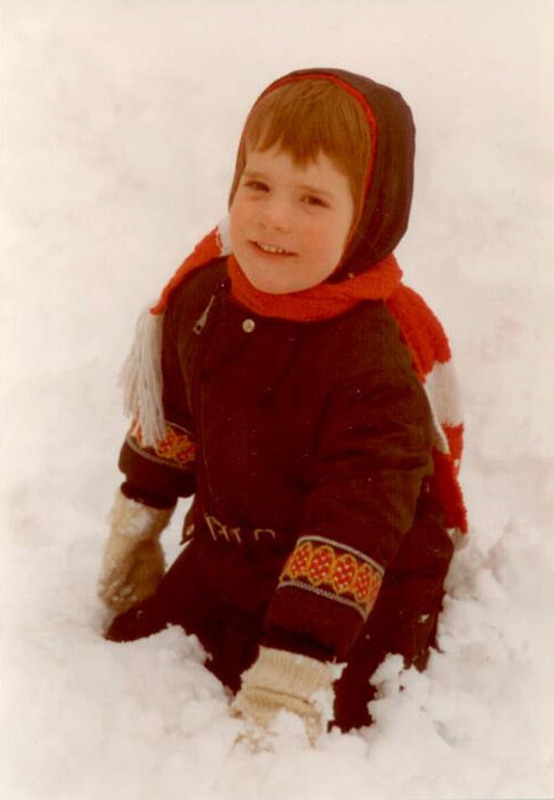 Author Anne Ursu grew up in Minnesota, where she loved playing in the snow as a child. Breadcrumbs pays homage to the fairy tales Ursu loved as a child. The book is based on Hans Christian Andersen's fable The Snow Queen, which features a woman in white who inspired Jadis the White Witch from The Lion, the Witch and the Wardrobe. Another reader, 11-year-old Kate Purdhum, wondered why Ursu decided to intertwine her story with so many classic fairy tales. The idea came from the characters themselves, Ursu says. Hazel is so isolated and such a fierce reader, she is prone to interpreting her world through books. When Jack's mother begins suffering from depression, Hazel notes, "The mom looked like someone who had suffered her damen," a reference to The Golden Compass. And she observes that her "order-bound" teacher looks like she came from Camazotz, the planet in A Wrinkle in Time. But the lessons Hazel must learn, she cannot find in books. She endures loneliness and must learn to cope without Jack. "Dealing with the grief [of losing friends] is such an essential part of growing up," Ursu says. Hazel gains indispensable wisdom, and better yet, she learns how to access — and generate — an everyday magic. As Ursu says, as Hazel abandons her belief in "childlike" happy endings for understanding the real world, she learns that "magic might not come and save the day but magic can be created with memories, with a friendship ... that is the real happy ending."